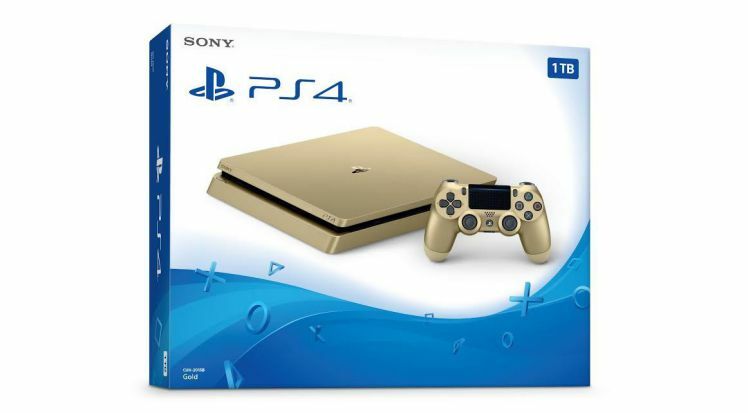 Today Sony announced its 1TB PS4 Slim Gold Edition for $249. The new limited edition PlaySation 4 Slim Gold Edition console will be available $50 cheaper than the normal model. However, the bad news is that the console will only be available for a limited time. You can snag one between June 9th and the 17th. Sony also says that there will be “additional discounts on software and accessories” during that period, though no specifics have been announced just yet. Previously, Sony partnered with Taco Bell in 2015 to give away a Gold version of the older PS4 model. The company is expected to launch PS4 Slim Gold edition for $299.99 USD/$379.99 CAD. Currently, you can buy a Gold DualShock 4 exclusively from GameStop/EB Games Canada for $64.99 USD/$74.99 CAD. GameStop’s website notes that their exclusivity period for the Gold DualShock 4 expires at the end of this month. Microsoft will also officially unveil Xbox Project Scorpio at E3 2017.